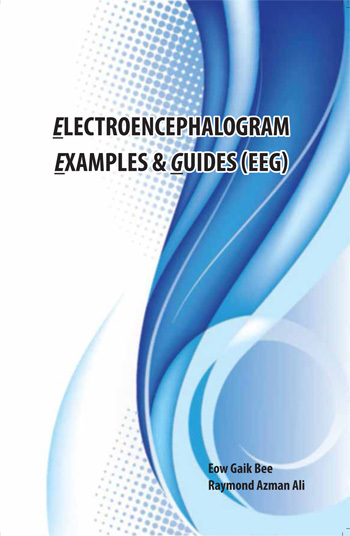 It is a privilege to introduce the book “Electroencephalogram Examples and Guides,” published in August 2013. The book provides a concise and comprehensive compilation of text and EEG recordings collected to shorten the learning curve toward competence in EEG interpretation. This book will be valuable to a wide variety of readers. 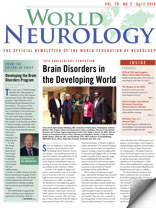 For specialists preparing for EEG certification examinations, such as those offered by the AsianEpilepsyAcademy – ASEAN Neurological Association (ASEPA-ASNA) or the American Board of Clinical Neurophysiology (ABCN), it could serve as an essential guide. For the practicing neurologist, it can serve as a useful quick reference. For beginners, including EEG technologists and neurology trainees, it can be an effective teaching resource. Throughout the book, complex concepts are simplified without the sacrifice of fine details. Facts and comparisons are given in point forms and tables. Classifications of various EEG findings are presented in easy-to-understand algorithms. EEGs from common to rare conditions are presented in a stimulating quiz format. The index enables quick reference to EEG tracings from patients with different diagnoses. Sections 1 and 2 deal with the basics of EEG, including indications, limitations and neurophysiologic principles. Section 3 provides actual EEG recordings, starting with normal findings, artifacts and benign variants and progressing through epileptiform and non-epileptiform abnormalities. Section 4 includes a systematic step-by-step approach to EEG interpretation, and Section 5 offers a quiz for readers to practice their EEG interpretation skills. Section 6 deals with EEG evaluation of syncope and blackout spells, while Section 7 deals with evaluation of coma and altered states of consciousness. Finally, Section 8 provides an opportunity for self-assessment of the reader’s discernment of the various points in the book. This innovative book is recommended for anyone who seeks to learn EEG in an effective and systematic way. That the author also made the process pleasurable is a welcome benefit indeed. Palliative Care as a Human Right: Where Does the Neurologist Stand?